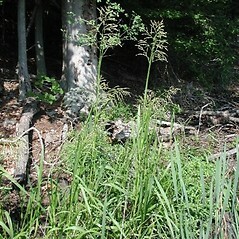 Reed manna grass is native to northern Eurasia. 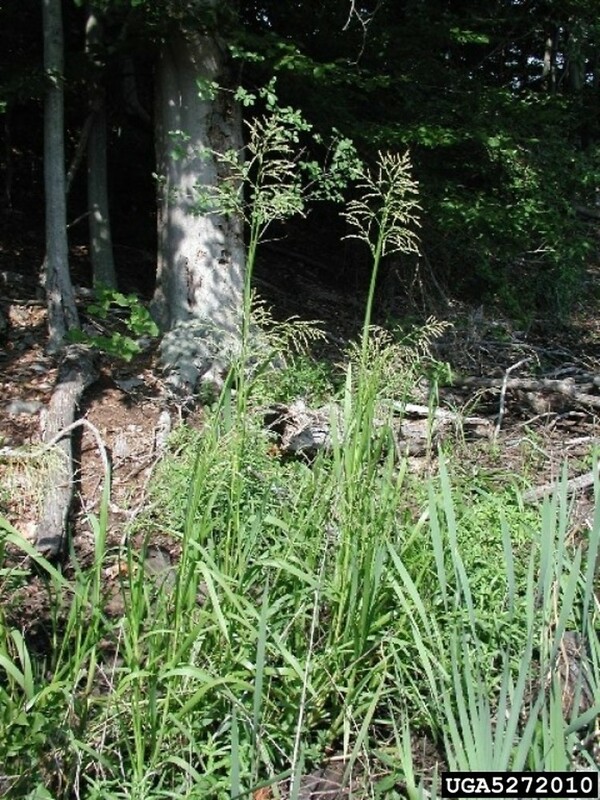 It is considered a noxious weed in much of its introduced range due to its ability to form huge monospecific stands in wetlands. 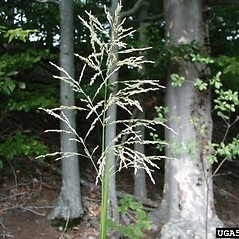 In New England it has been collected from wet, disturbed sites in Connecticut and Massachusetts. 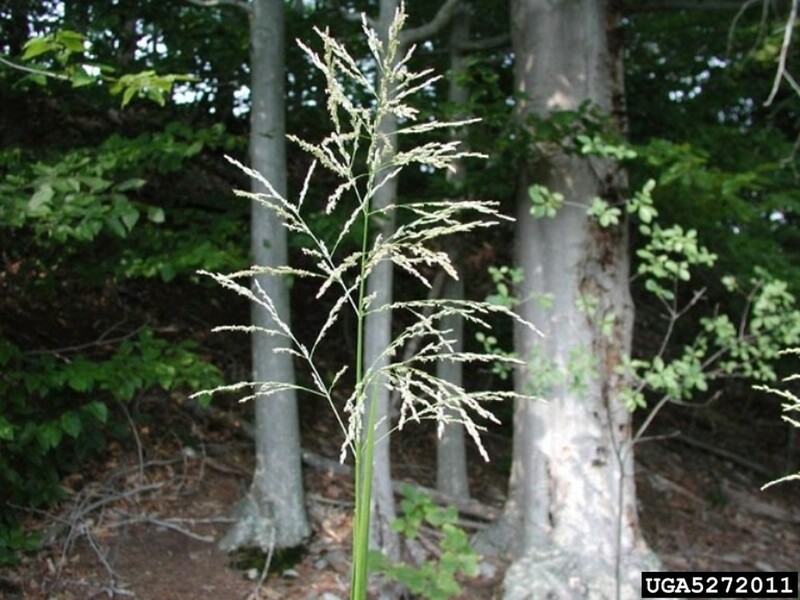 It was introduced to North America some time before 1940, and is a recent arrival in New England, having been first collected in New England on the Ipswich River in Essex County, Massachusetts in 1990.
leaves with blades mostly 4.5-12 mm wide and smooth sheaths, and upper glumes 1.5-2.7 mm long (vs. G. maxima, with leaves with blades mostly 8-18 mm wide and minutely scabrous sheaths and upper glumes mostly 3-4 mm long). reed manna grass. Glyceria spectabilis Mert. & Koch; Molinia maxima Hartman • CT, MA. Ditches and other wet, disturbed places, muddy stream shores.